Learn how to leverage notifications to follow-up in a timely manner. This is an overview of browser and desktop notifications in Nimble. How do notifications in Nimble work? 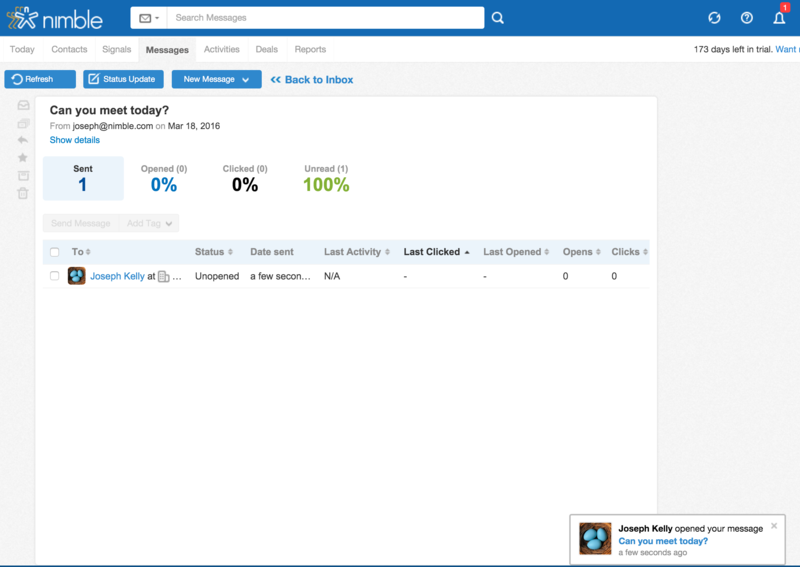 Nimble allows you to receive notifications for Group Message Opens, Clicks, Task Completion and Comments from within the application or on your desktop (Chrome and Safari users only). What are the benefits of enabling notifications? By enabling notifications for task completions and Group Messages, you'll be informed right away and empowered to take the critical actions you need during your day. How do I enable notifications? Go to Settings >> Notifications in your account and select the options to enable in-app or desktop notifications. Pictured Below: In-App Notifications Alongside a Group Message Report. Someone Comments on a Task. Sometimes, you may not have time to react to all notifications at once. 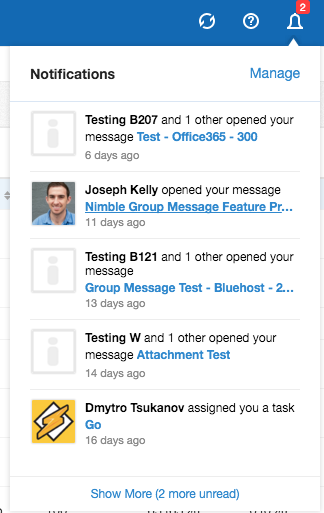 Visit the Bell from any tab within the Nimble Web App to see a stream of all your most recent notifications. Go to chrome://settings/content and under "Notifications" make sure that the option for "Ask when a site wants to allow notifications" is enabled. Yes, you may certainly mute notifications. Notifications can be muted for 24 hours, 48 hours, or permanently. 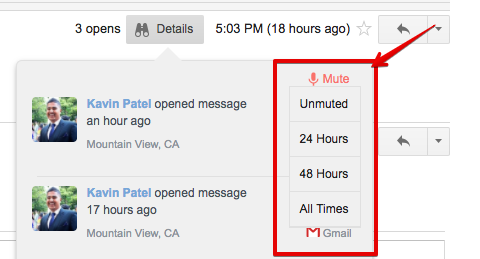 The "Mute" option will appear for in-app notifications as well as Gmail and desktop notifications.